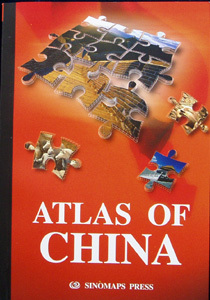 This newly published Atlas of China Atlas includes provincial maps and major city maps, with basic information of each provinces including province's population, nationalities, weather, average temperature, annual average rainfall, rivers, mountains, local products, capital, major cities, tourist attractions etc.. printed in English language, fully indexed. Total 191 pages, size: 21x14.75cm. (8.25x5.75 inches).